Last call for cheap ReconInForce commanders! This is the final week in the 50% off sale for ReconInForce. 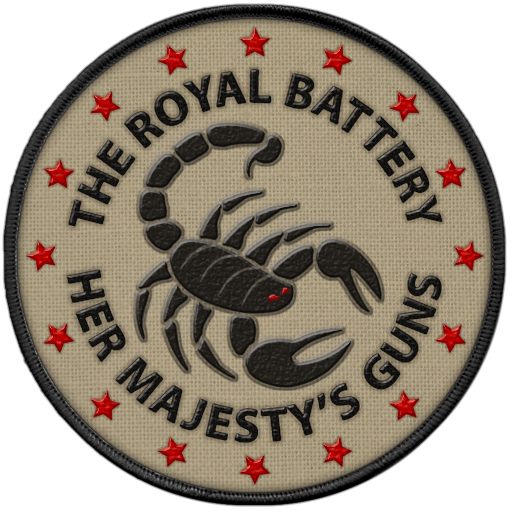 Last week, fans could read the strategy guide for the long-ranged Royal Battery. 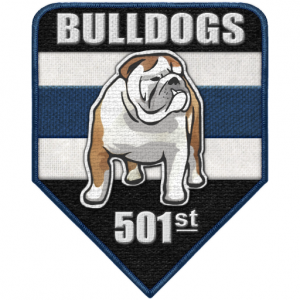 For our last hoorah we’re going to look at the the heart and soul of any military engagement: the infantryman and his rifle in the 501st ‘Bulldogs’. Read on for developer tips on how to use the 501st. Then start up ReconInForce to purchase the commander for only $0.99. For the latest ReconInForce news be sure to like the Facebook Page or follow on Twitter! This is week five in the seven week sale featuring the many commanders and gameplay styles in ReconInForce. 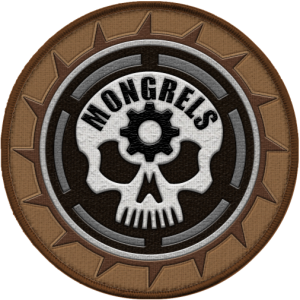 Last week fans could read the developer’s strategy guide for the techie Mechanized Mongrels. 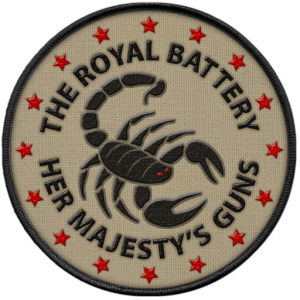 This time we’re going to explore the special forces’ tactics of the Six O’ Six. 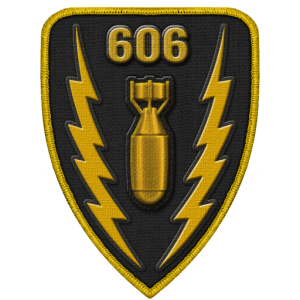 Keep reading for some background, strategies, and tips on the Six O’ Six. Then open up ReconInForce to purchase the commander for only $0.99. To keep up with the deals and happenings of ReconInForce don’t forget to check me out on Facebook and Twitter! RiF (Version 1.2) Release Notes! 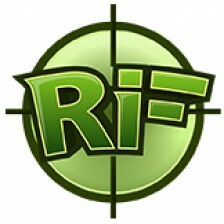 Try out ReconInForce Version 1.2, just release to the App Store today! 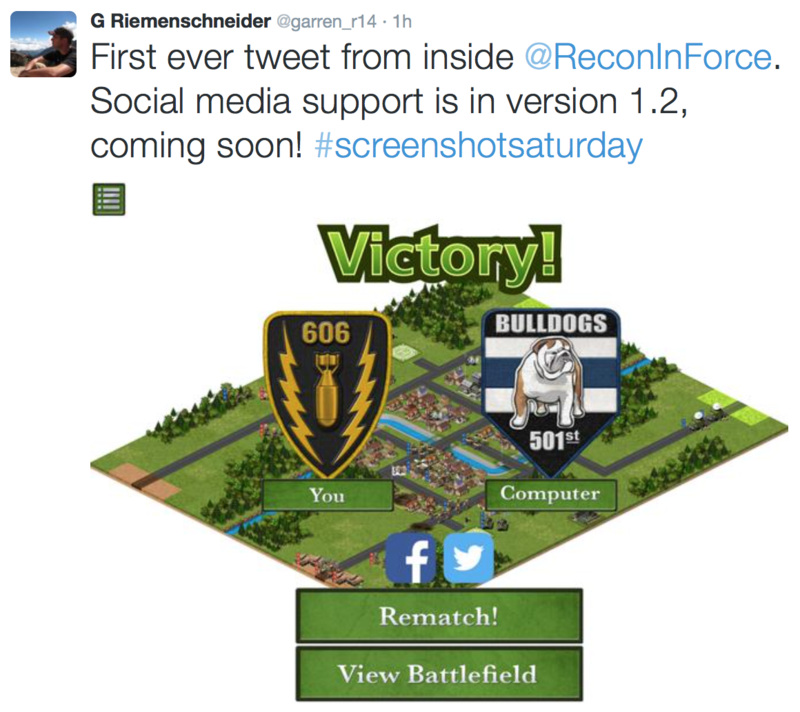 This update contains three more maps and social media support so you can tweet and post about your battlefield victories. Read on for the details and don’t forget to follow me on Twitter or like the Facebook Page! This is the fourth week in a seven week sale featuring the many commanders and gameplay styles in ReconInForce. Last week fans could read the developer’s strategy guide for the deceptive and tricky Phantom Brigade. This time we’re going to dive into the strengths of a group of misfits: the Mechanized Mongrels. Keep reading to learn what unites the Mechanized Mongrels into a powerful commander from a hodgepodge mixture of quirky soldiers. Then open up ReconInForce to purchase the commander for only $0.99!